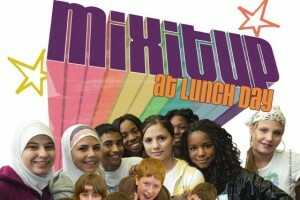 On Mix It Up at Lunch Day, schoolchildren around the country are encouraged to hang out with someone they normally might not speak to. The program, started 11 years ago by the Southern Poverty Law Center and now in more than 2,500 schools, was intended as a way to break up cliques and prevent bullying. But this year, the American Family Association, a conservative evangelical group, has called the project “a nationwide push to promote the homosexual lifestyle in public schools” and is urging parents to keep their children home from school on Oct. 30, the day most of the schools plan to participate this year. The charges, raised in an e-mail to supporters earlier this month, have caused a handful of schools to cancel this year’s event and has caught organizers off guard. The New York Times article reports that as of Friday, approximately 200 schools had canceled their Mix It Up at Lunch Day events.